Today is Memorial Day in the United State of America, an important day where Americans honor the lives and contributions of those who died while in service for the country. Typically, the search engines give respect to the day and the individuals and families by creating a custom background image, logo or placing a ribbon on the site. Thank you for your note. 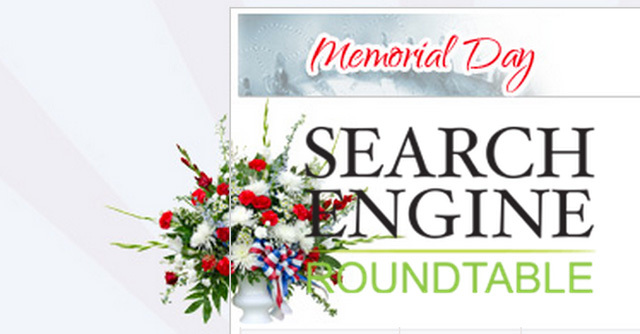 We understand your interest in seeing a Memorial Day Google logo. If we were to commemorate this holiday, we'd want to express reverence; however, as Google's special logos tend to be lighthearted in nature, this would be a particularly challenging design. We wouldn't want to create a graphic that could be interpreted as disrespectful in any way. We have a long list of holidays that we'd like to celebrate in the future. We have to balance this rotating calendar with the need to maintain the consistency of the Google homepage. We really appreciate your feedback regarding the Google logo, and please be assured that we're actively pursuing ways in which we can acknowledge Memorial Day and other such occasions in the future. But no ribbon? 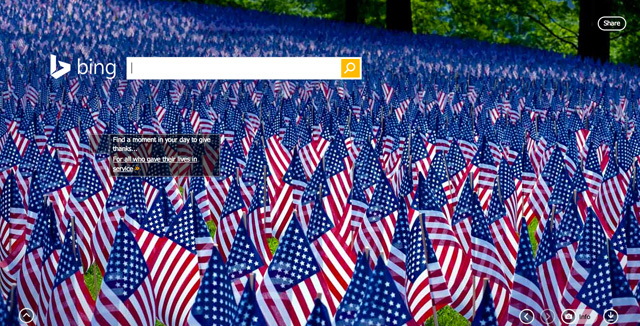 Google has done ribbons on sad days, even Memorial Day. So Google, what is up? 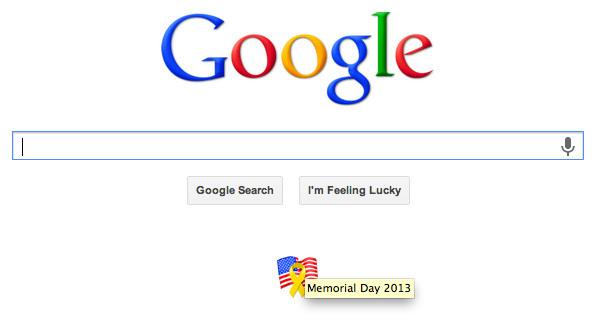 Update: After 2pm EST, Google added a Memorial Day ribbon to their home page, but is it too little, too late?